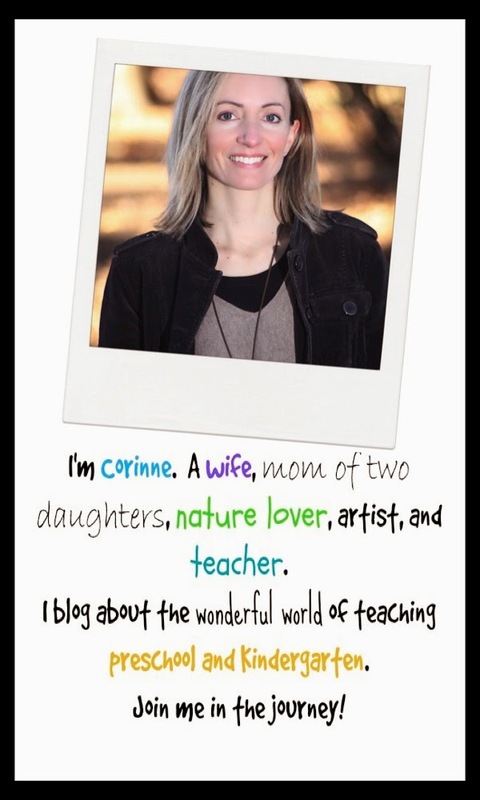 Week 2 of our Countdown to Christmas is upon us! And we even got a sprinkling of snow to help make our spirits bright! The snowfall wasn't enough to build a snowman, or really even much of a snowball, but you can't be picky when you live on the west coast! Any bit of white gets celebrated at this time of year. 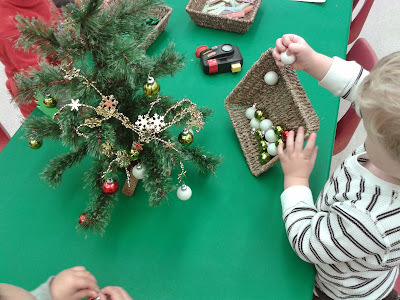 We already decorated our Chistmas tree as a class last week, but the children had so much fun with the process that we decided to bring in another smaller tree for decorating at center time. We placed the tree on a table along with an assortment of decorations. We encouraged the kids to "undecorate the tree" when they had finished loading it up so that the next person could decorate it. To help encourage the undecorating process (which of course is never as fun as the decorating process), I placed a couple of toy cameras on the table so that the children could take a photo of their creation before they undid their handiwork. 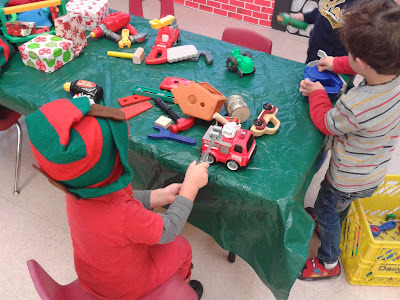 An annual tradition in our classroom at this time of year is to create a Santa's Workshop. 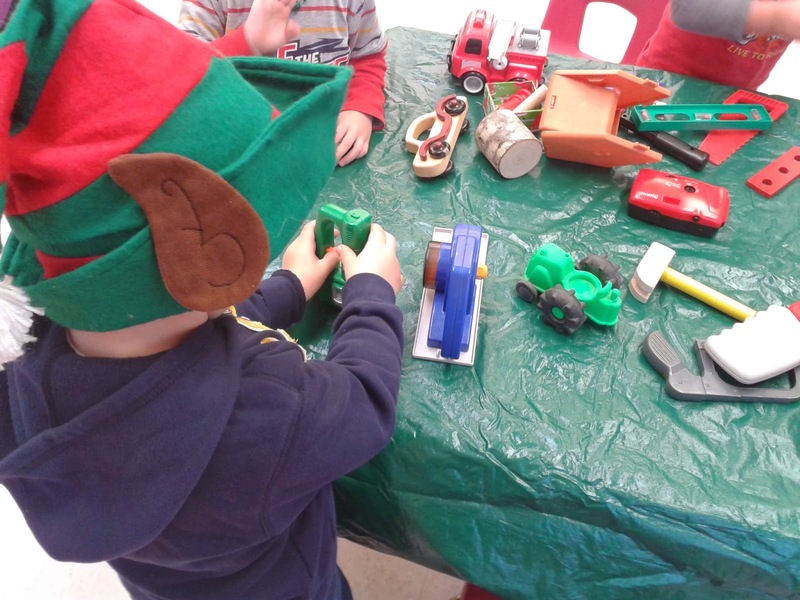 Here we can see the elves busy at work creating toys for Santa! We included a variety of props including elf hats; gift boxes with lids; toys to be "built;" building tools including toy hammers, drills, levels, screwdrivers, etc. ; paintbrushes to pretend to paint the finished products, and more. After our gang of elves "built" some toys they would put them in the gift boxes and bags and either present them to children in the classroom, or place them temporarily under our class Christmas tree. This is the sort of play we usually see at the center, but the center is always open for new ideas. At one point the elves imagined a snow monster was coming to lay siege on the toyshop and steal all the presents. Everything needed to be hidden, and fast! Not exactly what we had in mind, but definitely showing the preschoolers' imagination at work! At the station in the photo below we have the Gingerbread Man Count and Clip activity. 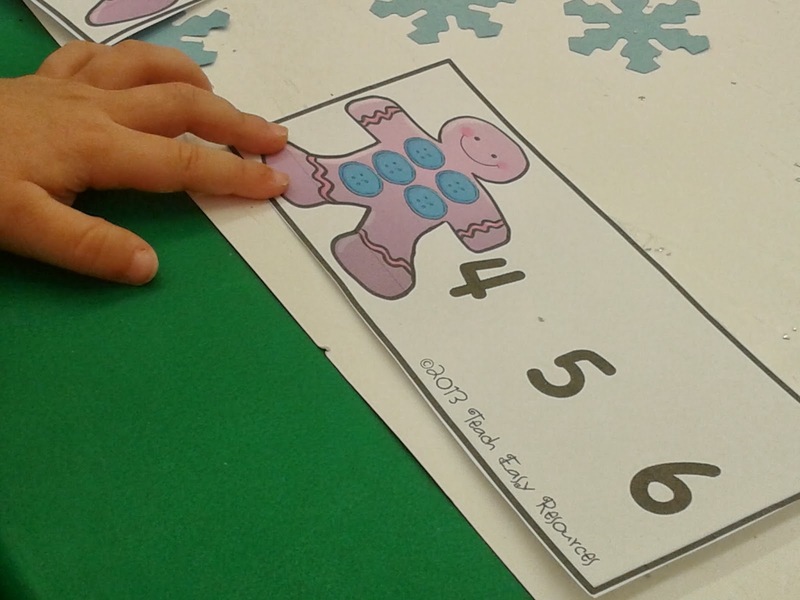 The children count the buttons on the Gingerbread man's tummy and then clip the clothespin onto the corresponding number on the card. A great activity for counting practice, number recognition, and the development of fine motor skills. 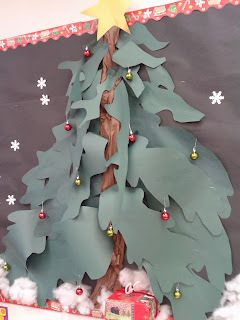 Today we put a few more touches on one of our Christmas Bulletin Boards. Simple but festive. In case you're wondering, the trunk is made from brown tissue paper just crumpled lengthwise and stapled to the board. So easy!